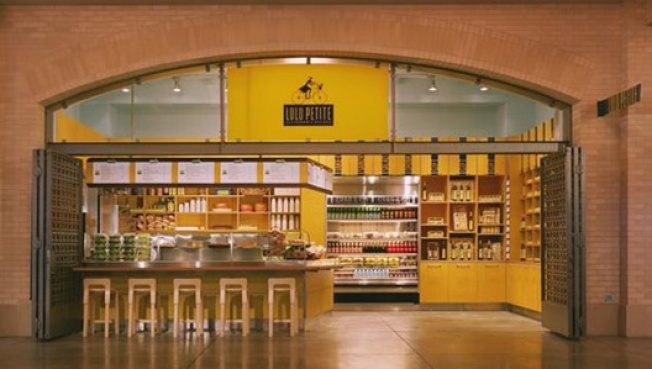 The latest Ferry Building inhabitant to leave the premises is Restaurant LuLu's casual offshoot, LuLu Petite. Monday was the final day for the combination retail shop and deli designed by Cass Calder Smith, with the main culprits for the closure involving lease issues. Similar to Tsar Nicoulai's exit, the original deal has expired and for whatever reason (insert conspiracy theories here), LuLu Petite couldn't renew their lease. This just a week after the Ferry Building gave hot dogs the boot. Expect news of its replacement soon enough, but in the meantime, we'll take all rumors to the tipline.